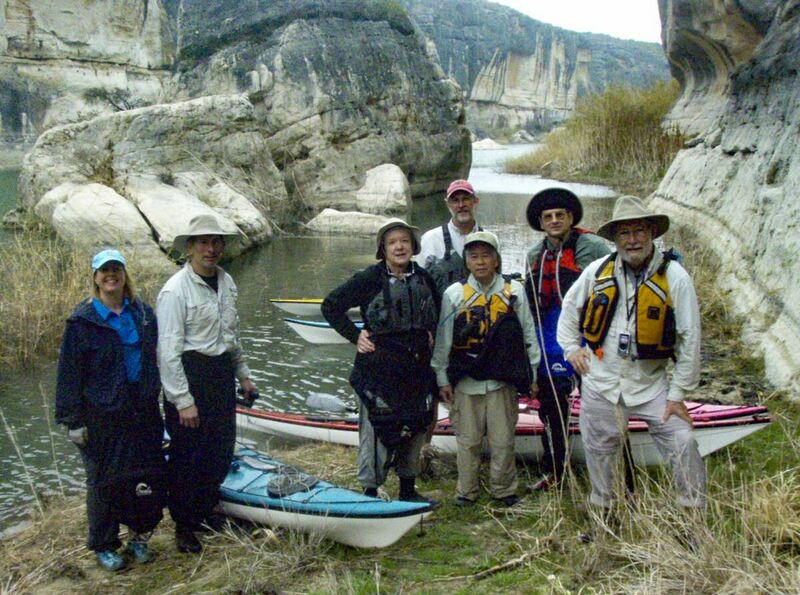 This will be about an 8 mile round-trip Level 2 paddle on Lake Amistad in the flooded Pecos RIver canyon, to a turnaround point of our choosing to return us ot eh pout-in by 2:30 - 3:00 PM. 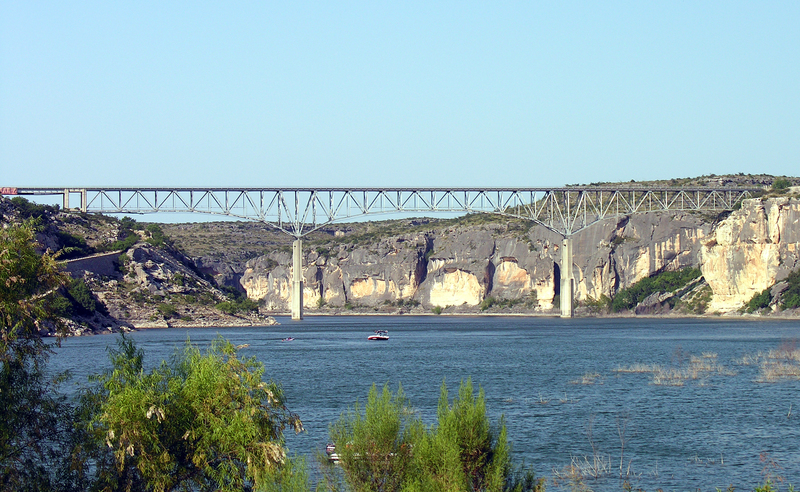 We will put in under the Hwy 90 bridge over the Pecos River, paddle north in the Pecos canyon, find a place to get out and have lunch, and return. There are not many easy get-outs. Participation is subject to approval of the Trip Leaders. This trip is not intended to be long, but is subject to canyon winds, in a very remote location. Paddlers must be prepared with at least a half gallon of water per person, warm dry clothing in a dry bag in a hatch, extra food in addition to lunch, sunscreen, hat, rain gear, and an extra pair of shoes suitable for rough walking. Due to the inaccessibility, paddlers should be able to complete the 8 miles without undue strain. We will have an Emergency Initiator on top of the plateau in case we are delayed in the canyon, whose name and phone number will be added here and how will know how to contact emergency help.